WARNING: This is not a tour for trail runners, this is a tour for experienced alpinists that includes a trail running approach. 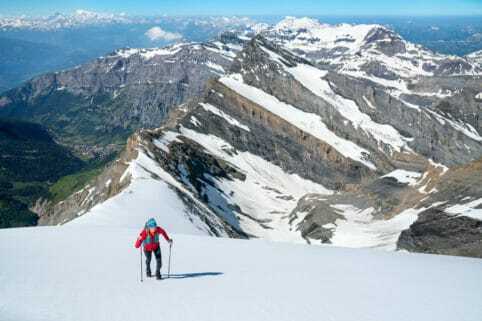 Do not consider the Eiger West Flank a trail running tour, it is a route for experienced climbers who can run the approach. 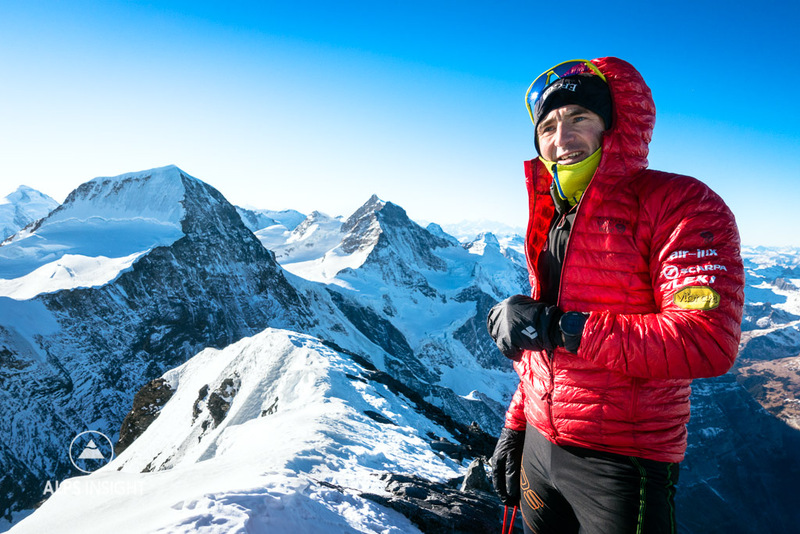 It was always with a mixture of great excitement and dread that I set my alarm for a wake up call to do something with Ueli Steck. Our usual routine was to meet for morning trail runs around our home in Interlaken. These weren't blazing fast runs, they were just Ueli speed spread out over a lot of vertical. I got to know his backside pretty well. Often times, our runs also served as a warm up for a bouldering session that then required a large moka pot as recovery. Yes, an Ueli day. I miss them more than words can tell. Then there were days that Ueli asked me to do something that had me seriously concerned. Looking back, these are the days where I have my greatest memories. Not just that, but lessons. December of 2016 was a month that had exactly zero precipitation in the Swiss Alps. While I was doing a huge amount of trail running on frozen, dry, brown trails, Ueli was running laps on the Eiger. One day it would be up and down the Nordwand with Kilian Jornet, the next a lap on the West Flank in running shoes. "Ideal training", was his description. "You have to join me one day...". That day came on December 30 when he decided to do the route for the second time in one week, again, running up to Eigergletscher from Grindelwald, then blasting up the route. "We won't go fast, but also, we won't ever stop". The West Flank is not a beautiful climbing route. Instead, it is a mildly unpleasant descent route. Ueli loved it, describing it as perfect training ground for what he wanted to do in the Himalaya. We started up it with ultralight Scarpa prototype climbing boots, one ice axe each, standard steel crampons, and trekking poles. I brought along some fear. Ueli had been doing it in running shoes with ultralight crampons, but conditions had since changed and there was an abundance of water ice to deal with. Overall, besides some sugar snow that slowed us down, the climb was easy and fun. After 5 hours of movement, we were on top of the Eiger with plenty of time to enjoy the view of our home mountains. For me, the down climbing proved more difficult than the up and I very cautiously reversed several points I'd casually climbed. The coffee at Eigergletscher Station never tasted so good. 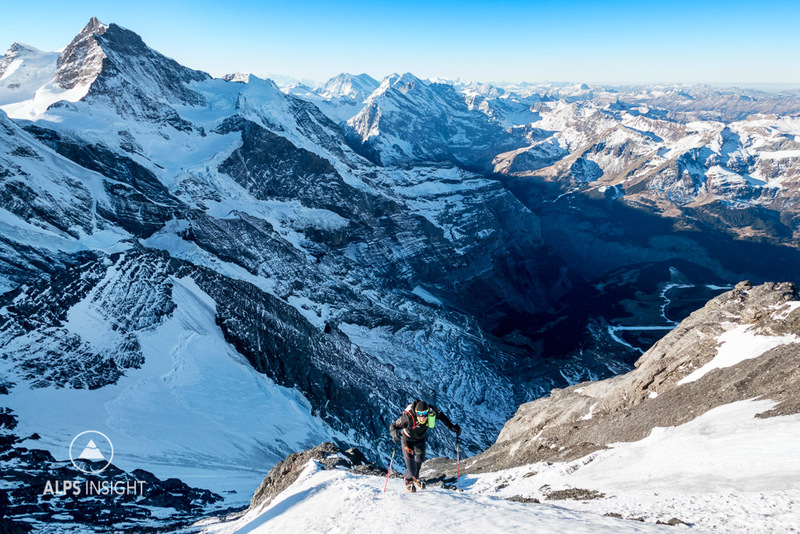 Visit our ALPSinsight Eiger West Flank Story for the full trip report. 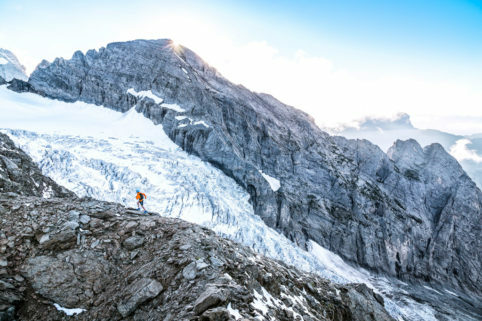 Learn more about the skills necessary to run Way Ups with ALPSinsight's Education pages for Alpine Climbing, 4000 Meter Peaks and Mountain Sport Fitness. This is not a running tour! This is an alpine climb with a trail running approach. Ueli Steck on the lower angled ramp above the Rotstock. About halfway up the route the mountain begins to take on some perspective. 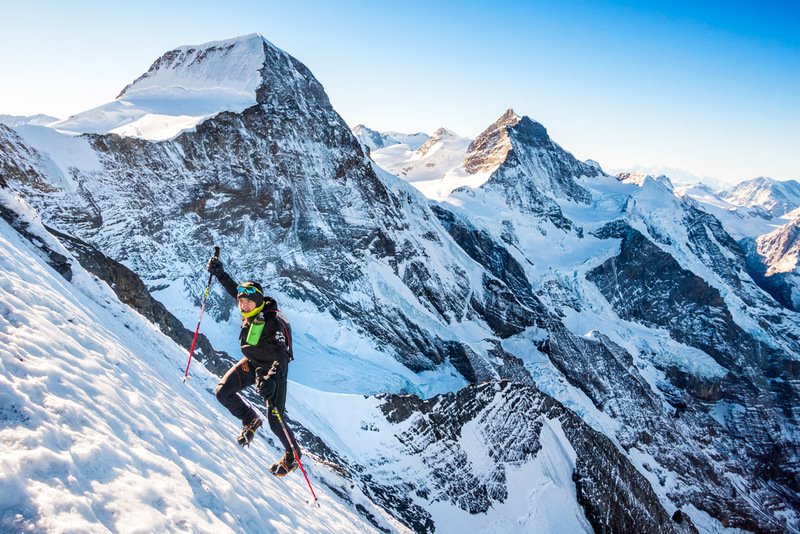 Ueli Steck on the summit of his beloved Eiger during a training day on December 30, 2016.